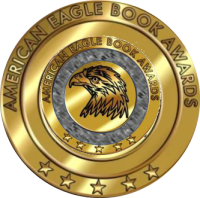 For literary excellence in all aspects of fiction writing. Winner receives an Amazon Bestseller Campaign! 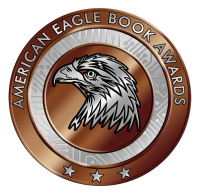 What are the American Eagle Book Awards? independently published authors whose books were copyrighted or published in the previous year in the United States. by a self-published or independently published author. Awards will be posted on the last quarter of 2019. 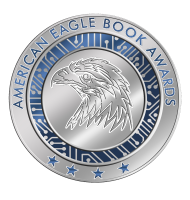 An American Eagle Book Award seal tells your audience that they are reading a highly celebrated publication. whose books of fiction meet our professional and editorial standards with fresh concepts and well-written dialogue. Finalists will be announced in the last quarter 2019 on our website and FaceBook page. ​We are only accepting fiction books at this time. Any independently published book, including self-published authors and university presses. Books must be published in English with an ISBN number and available for purchase in print format. Only Indie books with a published version (not Advanced Reader copy) will be considered. Reissued editions are not eligible for entry. You must be over 18 years of age and a citizen of the United States. Books must be published and available for sale in the United States. Payment of entry fee through PayPal button below entry form. 31, 2019. All books must be received by our office by August 31, 2019. The 2019 entry fee is $49 per title. All payments are to be made online via PayPal. Checks not accepted.